Cameron Underwood was injured in 2016 and had the transplant in January 2018. 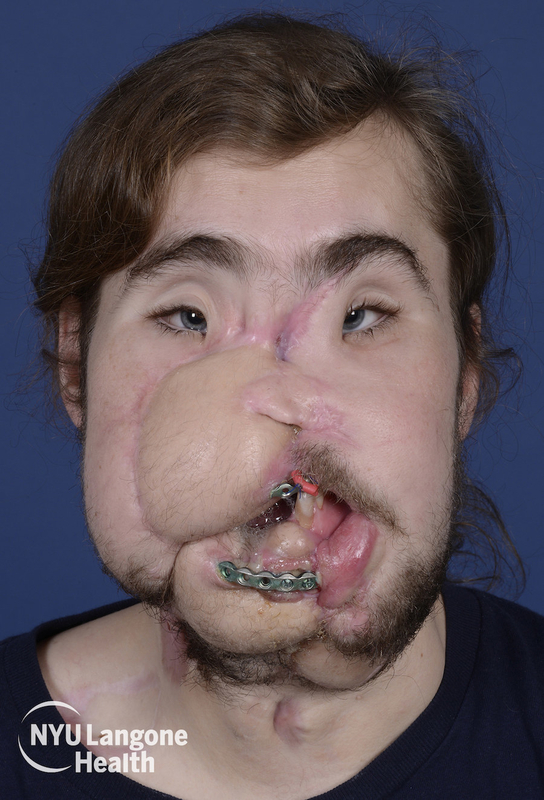 A 26-year-old face transplant patient has had one of the fastest procedures to date — with about 18 months between his initial injury and his new face. 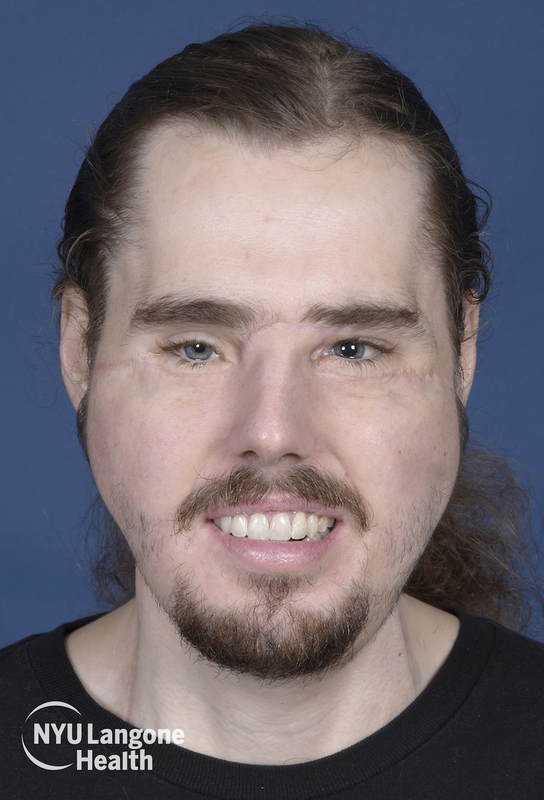 Cameron Underwood of Yuba City, California, underwent the face transplant in January 2018 at NYU Langone Health in New York. Underwood, who had a self-inflicted gunshot wound in June 2016, became a candidate for the transplant in July 2017 after several attempts at conventional reconstructive surgery. LiveOnNY, a member of the United Network for Organ Sharing, located a potential donor by December of that year, and with the donor’s family’s permission, the surgery was conducted in January 2018. The procedure required a team of more than 100 medical professionals and took 25 hours, shorter than the 36 hours it took for a previous face transplant that Dr. Rodriguez performed (while at the University of Maryland) for a patient with a similar injury, according to NYU Langone. In addition, it said Underwood spent fewer days in the ICU and hospital overall compared to other patients. "The combination of experience, the combination of precise matching of the donor, and finally instrumentation in the OR allows us to save time and when we save time in the operating room and the operation is more precise then that allows the patient to recover a lot faster," the transplant surgeon, Dr. Eduardo D. Rodriguez, told BuzzFeed News. Underwood's good physical health and dedication to recovery were also factors, he said. "All of those elements allow for success, and a faster recovery and convalescence," said Rodriguez, who is the Helen L. Kimmel Professor of Reconstructive Plastic Surgery and chair of the Hansjörg Wyss Department of Plastic Surgery at NYU Langone. Doctors have been performing partial and full face transplants for about 13 years, and 43 people have undergone the surgery. One man has even had two face transplants because the patient's immune system rejected the tissue from the first one. Other face transplant patients have had the surgery to treat self-inflicted gunshot wounds, including the youngest face transplant patient, who had surgery in May 2017 when she was 21 years old. Although some have questioned whether patients with self-inflicted injuries should be candidates for the procedure, these patients are extensively evaluated for psychological and physical fitness before the surgery, Rodriguez said. Underwood met with multiple specialists, and his doctors even flew to Yuba City to evaluate the amount of support he had with friends, family, and the community. "I am really proud to know him as an individual," said Rodriguez. "Beyond the courage of risking your life for a procedure, I think it takes great courage to expose yourself and your low moment in life to the world." Underwood encouraged anyone experiencing mental health issues to get help. "People that have gone through or are going through the same kind of mental illness that I went through, there is help out there," he said. "Ultimately you want to check it before it gets to my stage, but just talk to somebody, even friends or family. It might be difficult but it’s worth it." The donor was William Fisher, a 23-year-old Manhattan resident who was a student at Johns Hopkins University. Since Underwood was missing his mid and lower face, including his nose, and upper and lower jaws, a lot of donor tissue was used, including all of Fisher's teeth. The recovery is ongoing, and it will likely take up to three years for Underwood to gain more control of the new muscles and nerves, Rodriguez said. “His brain right now is overwhelmed with tremendous amount of sensory and motor input from this new face," Rodriguez added. "But ultimately this will neutralize and become second nature." The physical therapy is hard work, said Underwood, who has to relearn how to smile, show emotion on his face, speak, and chew. “It’s a daily battle. Every day I’m working on it,” he said. “Every day it’s a lot of rigorous activity to get the face to do what you want it to do, getting the right nerves to fire,” he said. Like almost all transplant patients, Underwood will have to take anti-rejection drugs so his body can tolerate the tissue. Dr. Rodriguez performed a 36-hour face transplant while at the University of Maryland, not NYU Langone.